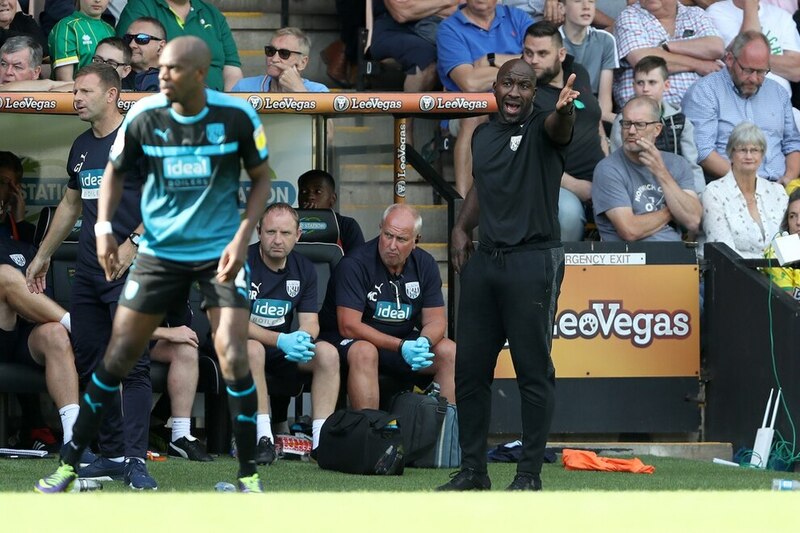 Albion came out on top of a thrilling seven-goal encounter at Carrow Road to pick up their first win of the Championship season. A Jay Rodriguez brace and goals from Harvey Banes and substitute Hal Robson-Kanu proved just about enough against a home side who refused to give up. The Baggies benefited from a nightmare day for Canaries keeper Tim Krul, who conceded a penalty in the first half and inexplicably let Rodriguez's long-range shot slip through his hands shortly after the break. His opposite number, Sam Johnstone, on the other hand, was brilliant in the Baggies goal, making a string of saves, including one to deny Jordan Rhodes from the spot kick. But the game will be remembered for a mad-cap 17 minutes in the second half when the teams shared four goals between them. Onel Hernandez, who scored twice in the last 10 minutes on opening day, had the first shot of the game five minutes in, but it was easily saved by Sam Johnstone at his near post. 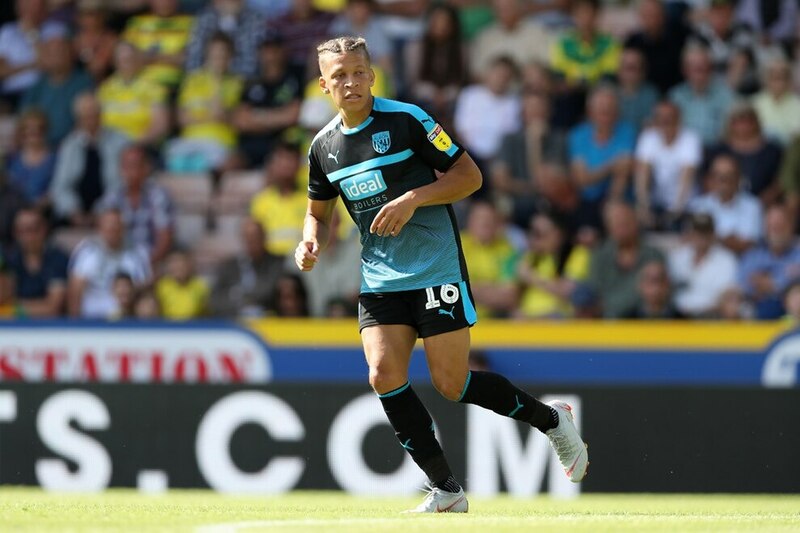 Although Albion had most of the ball early on, Norwich looked more dangerous, and Johnstone had to rush off his line quickly soon after when Jordan Rhodes was nearly slipped in behind Ahmed Hegazi. 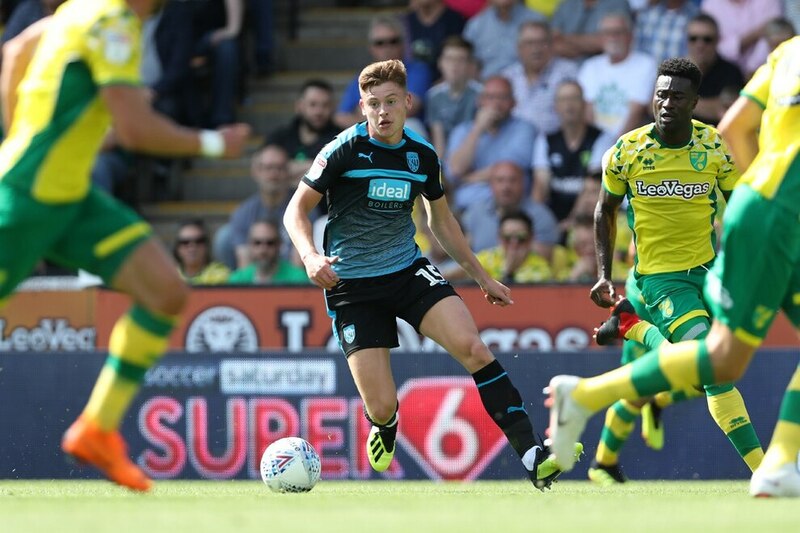 The Canaries started with a 4-1-4-1 formation that gave Alex Tettey at the base of midfield plenty of time on the ball thanks to Albion's own 4-4-2, and the Norwich midfielder started well. Johnstone was called into action again 15 minutes in when IIvo Pinto drove forward from left back and had a long-range effort the Albion keeper had to palm away. It wasn't until the 20th minute that Krul was needed, but when Kieran Gibbs's shot deflected off a stray boot it looped up to him at a kind height. The Baggies looked most dangerous when Barnes was driving in off the left hand side and a neat one-two with Jay Rodriguez nearly set up a chance for the brilliant Dwight Gayle but his shot was blocked. Albion looked vulnerable up the other end, and Johnstone had to make another save soon after, this time denying Rhodes one-on-one after the striker had got in behind Albion's backline too easily. It was a big chance to miss, but Rhodes made amends for it almost immediately, when he gave Norwich the lead. It was unfair on Johnstone, who pulled off another smart save in the build-up to stop Kyle Bartley from inadvertantly turning the ball into his own net, but after Kenny McLean kept the ball alive at the far post, Rhodes headed home. Mortiz Leitner had a long-range effort immediately afterwards as the Baggies wobbled. But Johnstone, Brunt, Rodriguez - and the away fans - tried to rally the team and it took less than 10 minutes for the visitors to draw level. Matt Phillips's deep cross was killed instantly by Gayle at the far post and the striker jinked past Krul before being upended by the keeper. Rodriguez stepped up and dispatched the spot kick with conviction before celebrating in front of the away end with passion etched on his face. Five minutes later though, referee Lee Mason was pointing to the spot at the other end, and it was a penalty Albion should not have conceded. Jake Livermore was robbed of possession on the halfway line by Tettey too easily, leaving Hernandez one-on-one with Brunt, who got sold by the dummy and tripped the winger. However, Rhodes's spot-kick was a dreadful one and Johnstone guessed right to cap off his fine half with a penalty save. That was a let off for the Baggies, but they should have taken the lead before half-time when a counter-attack left them three on two. However, Phillips chose wrong and opted to pass to Barnes instead of Gayle, who had bust a gut to get ahead of him and into space. Conor Townsend came on for his debut at half-time, replacing Kieran Gibbs, but within two minutes of the restart the Baggies were ahead. Gayle's industry set it up, because the striker stole possession in a dangerous area, and it fell kindly to Rodriguez who rifled his shot goalwards first time. Krul should have saved it, and he set himself to catch the ball, but his bad afternoon turned worse when it slipped off his gloves and into the side netting. That goal buoyed the Baggies, and both Barnes and Gayle had good efforts shortly afterwards. 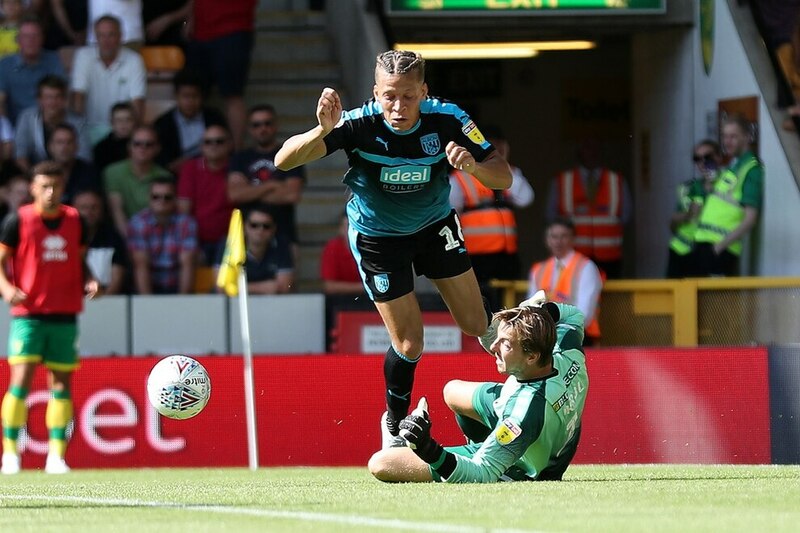 But Johnstone was still being kept busy up the other end, and he clawed out another Rhodes effort from close range after Ahmed Hegazi had allowed Norwich to get a pull-back into the box too easily. The game was still in the balance until the 65th minute, when Albion extended their lead and sparked a crazy 17-minute period full of goals. Nobody followed Phillips when he chased down a Bartley clearance, and he was rewarded for his efforts, because when Rodriguez dummied his slide-rule pass into box, it was left on a plate for Barnes. The young winger curled an exquisite first time shot into the bottom corner to give the Baggies a 3-1 lead, and it was his last action of the game, because he was promptly brought off for Hal Robson-Kanu. That should have been game over, but five minutes later Albion let the Canaries back into it when Allan Nyom lost possession to Hernandez on his own byline. The winger pulled the ball back to Pukki, whose low shot deflected past Johnstone. Norwich began to believe again after reducing the arrears, and Albion had to weather a storm before extending their lead again in the 79th minute. When Brunt's deep corner to the back post was headed back across goal by Hegazi, Robson-Kanu was on hand to sweep the ball home. But the Baggies let their hosts back into the game once again, and Norwich had made it 3-4 within just two minutes. 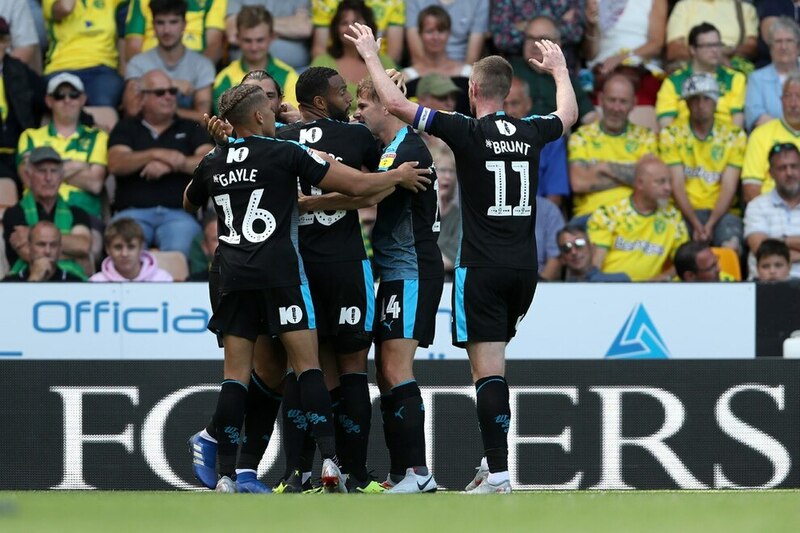 This time it was the Canaries skipper, Grant Hanley, who powered home a header from a cross to set up a grandstand finish with the game's fourth goal in 17 minutes. They nearly drew level in the 89th minute when Hanley headed the ball back across goal but it just evaded Rhodes's dive. 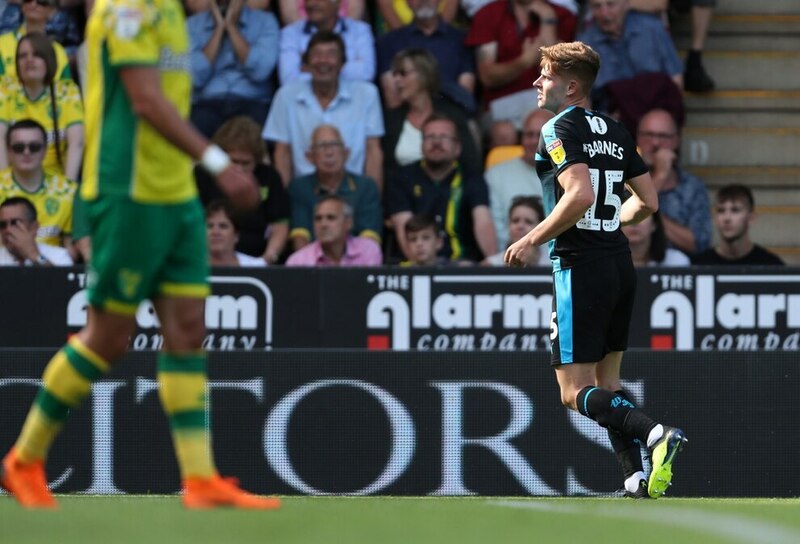 The Norwich skipper was wreaking havoc in Albion's box, and he headed over the bar soon after as the Baggies clung on desperately for a much-needed win. Although there is still plenty of work to do, and Moore will be displeased by some of the defending on show, this first win will settle the nerves. 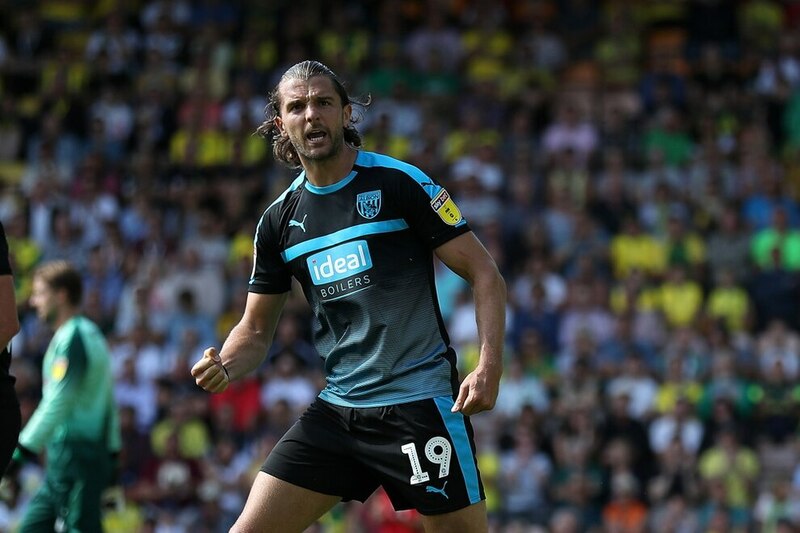 And even though they were given a helping hand by Krul, scoring four goals suggests Albion could be fun to watch this season. 24' GOAL NORWICH - Jordan Rhodes heads home after Kenny McLean keeps the ball in at the far post. 32' PENALTY ALBION -Jay Rodriguez slams home his first goal of the season after Dwight Gayle was upended by Tim Krul. 37' PENALTY NORWICH - Sam Johnstone saves Rhodes's tame spot kick after Chris Brunt trips Onel Hernandez in the box. 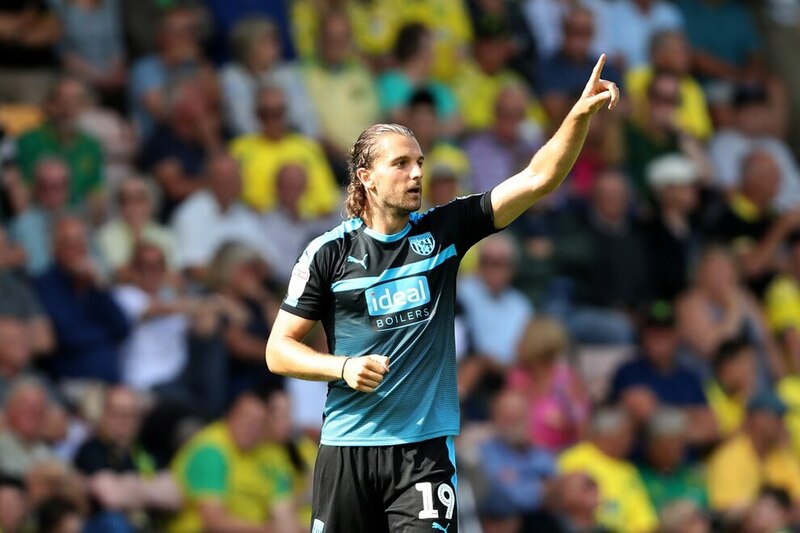 48' GOAL ALBION - Gayle steals possession and Rodriguez lets fly from 30 yards but a mistake from Krul lets it in. 65' GOAL ALBION - Phillips chases down Bartley's clearance before sending in a low corss that Rodriguez steps over, allowing Barnes to curl it into the bottom corner. 70' GOAL NORWICH - Nyom loses possession to Hernandez, who pulls the ball back to Pukki, and his deflected shot heads past Johnstone. 79' GOAL ALBION - Brunt's deep corner is headed back across goal and Robson-Kanu sweeps the ball home. 82' GOAL NORWICH - Grant Hanley powers home a header to reduce the arrears again. Sam Johnstone - Made a series of saves, including one from the spot, and there was little he could do about any of Norwich's goals. 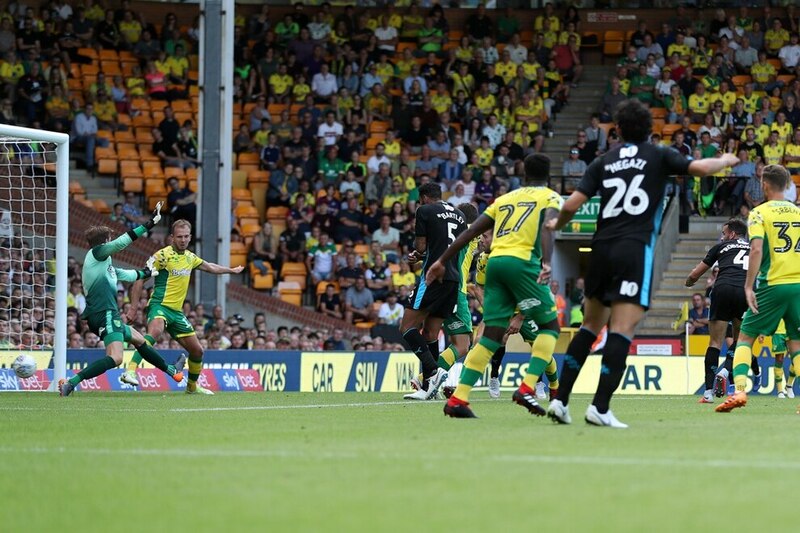 Norwich (4-1-4-1): Krul, Pinto (Stiepermann 89), Hanley (c), Klose, Marshall, Tettey, McLean (Srbeny 76), Leitner (Thompson 89), Pukki, Hernandez, Rhodes. Unused subs: McGovern, Godfrey, Zimmermann, Cantwell. 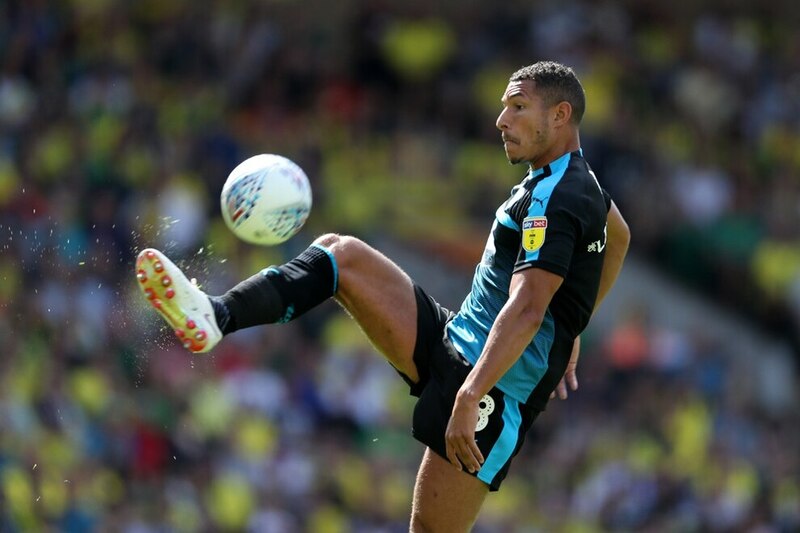 Albion (4-4-2): Johnstone, Nyom, Bartley, Hegazi, Gibbs (Townsend 45), Phillips, Livermore, Brunt (c), Barnes (Robson-Kanu 66), Rodriguez, Gayle (Morrison 84). Unused subs: Myhill, Adarabioyo, Field, Burke.